Tuesday, November 24th, 2015 at 4:40pm. You don't have to camp out overnight or skip out early on Thanksgiving dinner with your family in order to get a deal on Black Friday. Sleep in instead. This Saturday is Small Business Saturday. Visit local area shops to find unique gifts for the people on your Christmas list. 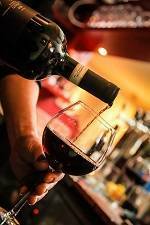 At the 2015 Downtown Bryan Holiday Sip and Shop even, you can enjoy a fine glass of wine while you do your shopping. Monday, November 23rd, 2015 at 11:52am. Tuesday, November 17th, 2015 at 1:09pm. Thanksgiving is still nine days away. There are 37 shopping days left til Christmas. If you just can't wait until after the turkey has been eaten on Thanksgiving Day to start getting into the Christmas spirit, you might want to come to the 2015 Downtown Bryan Lights On! event this Friday evening. What: 2015 Downtown Bryan Lights On! 2015 Downtown Bryan Lights On! The 2015 Downtown Bryan Lights On! event is the official holiday lighting ceremony. The public is invited to usher in the holiday season with kids crafts, live music and much more. I have it on good authority that Santa will be stopping by to take pictures with the kids. Tuesday, November 10th, 2015 at 2:45pm. Tuesday, November 10th, 2015 at 2:29pm. Have you made out your Christmas list yet? Are you one of the people that waits until the last minute and then scurries around like a mad person trying to get something for everyone on your list? Change things up this year. Come to the Downtown Bryan Night Bazaar 2015 to get a jump on your Christmas shopping. Monday, November 9th, 2015 at 10:25am. Moving isn’t only stressful for you, it can be stressful for your pets too! If you own pets and are thinking about moving, or are already in the middle of packing, we hope these tips can help you out and keep your furry friends content during your transition! Since there is a chance your animal could wander off in the move due to stress, be sure they have a collar that won’t fall off, as well as updated contact information like your name, your destination location, and a cell phone number. Moving to a new location can cause your pet anxiety, so do yourself a favor and make sure that if your pet were to disappear, they can be safely returned to their owner. New Listing! ~ A Home to be Cherished! Friday, November 6th, 2015 at 11:15am. Excellent space, beautiful details and obvious quality! Screened in porch overlooking the lush, serene backyard! Including generous decking with bench seating, 3 storage sheds and a fresh producing lemon tree! For more information on this cherished home..................................................................................................................................................................................................................................................................................... Click Here! Tuesday, November 3rd, 2015 at 12:10pm. College Station is going to the dogs. And it's wonderful! 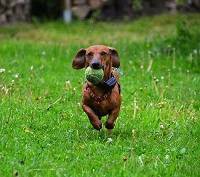 Dachshunds aren't the only pooches welcome at Wolf Pen Creek Amphitheater on November 15th. The College Station Wiener Fest 2015 is for everyone. Originally, the College Station Wiener Fest 2015 was supposed to take place on October 24th. However, it had to be rescheduled to November 15th. So, if you were already signed up to participate last month, you are still good to go this month.